Lake Wales is located in Central Florida. We have homes and real estate for sale in Lake Wales, Polk County and the Lakeland area. Lake Wailes & Lake Weohyakapka in Indian Lake Estates are both popular local attractions and offer great recreation to those craving an exciting lifestyle. 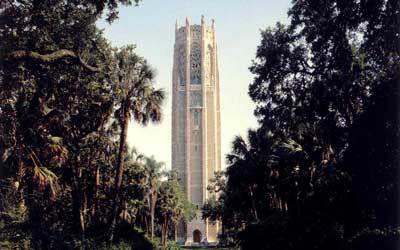 Lake Wales is home to Bok Tower Gardens is a national landmark and local treasure . Lake Wales has also Grassy Lake Preserve. View our current inventory of Lake Wales Homes For Sale & Real Estate offerings. Contact us to learn more about buying or selling a home with United Country Music Realty, Inc.
We are about 1 1/2 hour drive to Vero Beach so you can take a day and enjoy a walk on the beach or just sit and enjoy the sound of the ocean and drive back home. Lake Wales is 1.74 square miles in size with an estimated 14, 000 residents located along the state's geographical "ridge", a ridge that boasts the highest elevation in the peninsula portion of the state, 298 feet. This advantageous location gives Lake Wales a climate rich in Florida sunshine, but without the humidity of the coastal area. Daytime temperatures rarely exceed the mid-90's during the summer and seldom fall below the 60's in the winter. Yearly rainfall averages 53.81 inches, occurring mostly in late spring and summer. This local atmosphere is further enhanced by rolling hills with all kinds of oak, pine & citrus trees and the inviting waters of NUMEROUS Lakes within a 20 mile radius. Great for fishing year around. Because of our moderate climate, there are several outdoor businesses such as construction, landscaping, etc., can maintain a year-round schedule. 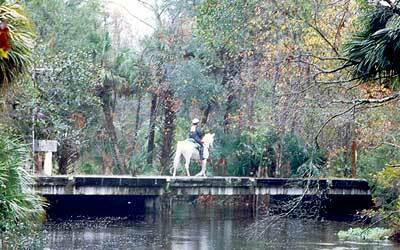 Founded in 1911, Lake Wales is a favorite with visitors from all parts of the world. A wonderful place to live, work or raise a family. We have Historic Bok Tower, a National Historic Landmark located just north of Lake Wales on Florida Peninsula's highest point. Beautiful designed landscape gardens to sit and enjoy the quiet area and listen to the carillon music. The Lake Wales Art center is located in the former Holy Spirit Catholic Church, one of the finest examples of Spanish Mission - style architecture in the state of Florida. Downtown has a wonderful Historic District with shops, restaurants and entertainment along with several businesses. We have wonderful public and private schools in the area Polk County Public Schools and Lake Wales Charter Schools. We also have several colleges and technical schools within commuting distance. Lake Wales Medical Center is a licensed 154 bed facility with a "new" state of the art Emergency Room. We have over 100 physicians specializing in all types of care in the Lake Wales area. Eagle Ridge Mall is just north of the town along with Home Depot, Lowe's, chain restaurants and hotels. Housing in the Lake Wales area can be an apartment, a condo or one of the warm friendly neighborhoods, come on golf courses, some in gated areas, some on acreage to have a horse or just enjoy the serenity of the "natural" Florida. some of the developments are of the sleek, modern block structures. There are several "older" Florida homes. Homes on acreage if a person wants a small farmette. A great area to speculate, lots, acreage available.